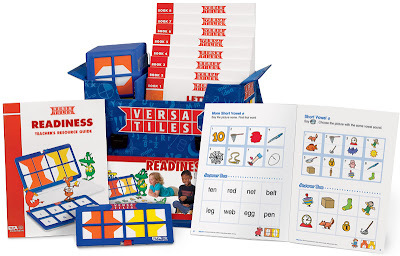 My third grader loves to work with Versa Tiles at school so I was super excited to get to try out ETA's Versa Tiles Readiness Starter Set. 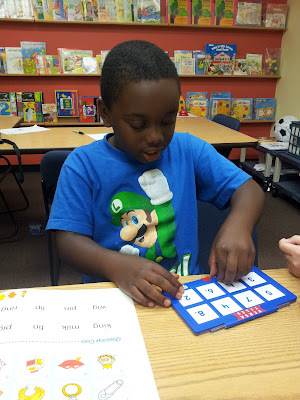 I used the set with a kindergartner I am tutoring. He had a lot of fun working with the tiles and I liked being able to use the tiles as a hands-on means of assessing him. The Versa Tiles Readiness Set includes activities for vowel sounds, rhyming words, beginning and ending sounds, colors and shapes, numbers and counting, science and nature, classification and grouping, patterns, numbers and counting, and letters and words. I especially liked the letters and words set for reading. The tiles are great for having students practice skills as well as for assessing them. I also like how the pack allows you to create your own Versa Tile activities. ETA hand 2 mind has graciously agreed to giveaway a Versa Tiles Readiness Starter Set to one lucky follower. 3) Check out ETA's hand 2 mind Facebook page and "like" them. You can leave a separate post for all three requirements. You can also learn more about ETA's hand 2 mind products from their site. The giveaway ends Friday night July 13th at midnight. Thanks for entering and good luck to all of you! I follow your blog! And Abby as a 3rd grader...?!?! That makes me feel old. i've been a follower of yours for quite awhile. love it! You've been on my blog roll for along time. I found eta's page and like it, too. 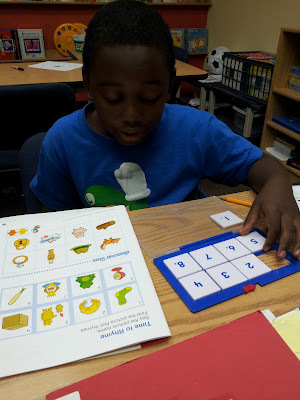 I've seen other teachers use versa tiles and would love my own. Im a follower and I do like the Versatiles. I would appreciate having more in my class. I "liked" ETA's hand 2 mind Facebook page! I have been a follower of your blog for some time now and I love it! I did visit and liked their FB page and learned a bit more about them. I have always followed you! Love your ideas!! I liked their FB page and loved reading all about them! I like ETA hand2mind on Facebook. I am a long time follower. I LOVE your blog! I liked ETA's Hand 2 Mind Facebook page. I follow your blog! 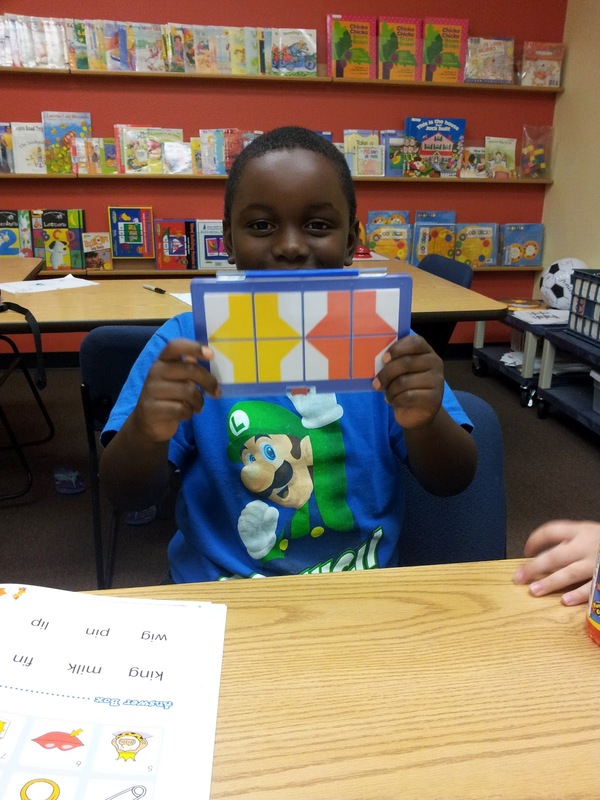 I used Versatiles when I tutored a few years back and the kids loved it! I follow Chalk Talk. Versatiles looks so interesting! I subscribe to your blog through my Google Reader:-) Thanks for the chance to win! I like ETA on FB:-) Thanks! I follow ETA's facebook page! You're already on my blog roll too! I liked ETA's Hand 2 Hand FB page! I follow ETA's Hand 2 Mind FB page! I liked ETA's FB page too! I like ETA on Facebook! I follow your blog and find lots of great things there. This looks fun. I Like ETA's hand 2 mind on Facebook as Tanya Rubezhov. I follow your blog and just LOVE it! I visited ETA hand2mind on facebook and liked their page. I visited ETA facebook page & liked them! I follow your blog...I'd love to win. I liked the versatile fb page. I have completed all three, I used these when I taught in Florida and loved them. I am not sure SC uses them. I checked out ETAs hand 2 mind face book page and 'liked' them. I liked ETA on Facebook!! I liked ETA on Facebook! I now follow your blog! It is VERY cute! I put your blog in my blog roll. I like ETA on Facebook. I "like" ETA's hand 2 mind Facebook page. I liked ETA on facebook. I liked ETA on Facebook. These Versatiles look soooo wonderful. I don't have a blog, but if I did you'd be on my roll. Love following your blog. 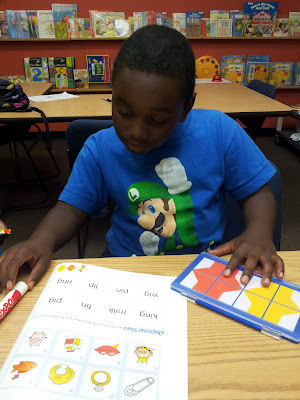 Hi i am a new teacher and I now follow your blog! i follow ETA on fb! I have liked ETA's hand 2 mind Facebook page! I was just looking to purchase these for my class! I liked them on Facebook and get your emails!